Mount it on your car and rub it in!!! 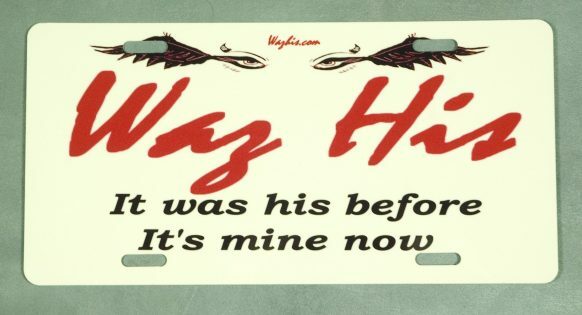 Welcome to WazHis.com, the official site for divorced women whom want to brag about what was it they took from the SOB whom hurt them in the first place. It was his before, it is mine now!! Share your story, Share your experience, Share the pictures of what you have taken from him!! vahikm: It looks like she is “pitching” and he’s at the bat!!! I bet he is going to strike out. This one is going to cost him way more than just his BALL game!! Does this remind you of a movie? Welcome to WazHis.com, the official site for divorced women whom want to brag about what was it they took from the SOB whom hurt them in the first place. It was his before, it is mine now!! Share the pictures of what you have taken from him! !